I decided to use my blog as a way to update what is happening in my little part of the world while Sandy comes through and destroys everything in her path. I’m located north of Baltimore and my apartment is actually on the water, but we’re 16 feet above water levels. Its raining really hard and you can definitely feel the wind gusts. I don’t believe we’ll have power much longer, I’m giving it until 6 PM or so but that’s probably estimating high. It’s really not pleasant on the MD beaches. Part of the fishing pier in Ocean City is gone and the Indian River Bridge in DE is a mess. I’m anxious to just get this over with. Stay safe East Coasters. My thoughts are with you. I’ll be completely honest with you. This is a recipe that I debated on sharing since…well, since the beginning of this blog. This was one of the first recipes that I ever created and so many people told me it was delicious, but I refused to give out the recipe for fear of someone claiming it as their own. My own mother had me make this crab dip for a company party she had and passed it off as her own, so you can see why I spent so much time not very inclined to share. However, I came to realize that it is silly not to share the recipe. It is an amazing hot crab dip and its just not fair for me to only share it with those that I come in contact with. There is another sillier reason why I am sharing it though. Because it’s not my real recipe. I mean, it is, but it isn’t. I had the hardest time writing down a recipe for this because I really just have an ingredients list. I have general measurements but to know for sure where I use a tablespoon or a tablespoon and a half is just not possible. I don’t measure when making this, there is just a certain way that it looks when mixed together that I know is right. So I figured even if I share my best guess at the measurements, it will still never truly be “my” recipe since even “my” recipe changes each time that I make it. So without further adieu, I share with you the most incredible, creamy, spicy, hot crab dip recipe you will ever have. 1. Preheat an oven to 375. Spray a 9×13 baking dish with non-stick cooking spray. 2. Pick through the crab meat to remove any shells. Season with 1 tbsp. of Old Bay and set aside. 3. In a large bowl, add the cream cheese, onion, sour cream, mayo, Worcestershire sauce, hot sauce, garlic, mustard, black pepper and the remaining Old Bay. Stir until combined. Add in 2 cups of the shredded cheddar cheese and stir until combined. Gently fold in the crab meat. 4. Spread a layer of the crab dip into the prepared baking dish, top with 1/3 cup of cheddar cheese. Repeat for 2 more layers. 5. Cover with foil and bake for 35 minutes. 6. Remove the foil and bake another 5-10 minutes or until the cheese is melted and bubbly. 7. Serve hot with your desired dipping vessels. Can be refrigerated for 5 days. To reheat, place in a microwave safe dish and heat at 20 second intervals, stirring, until warmed through. 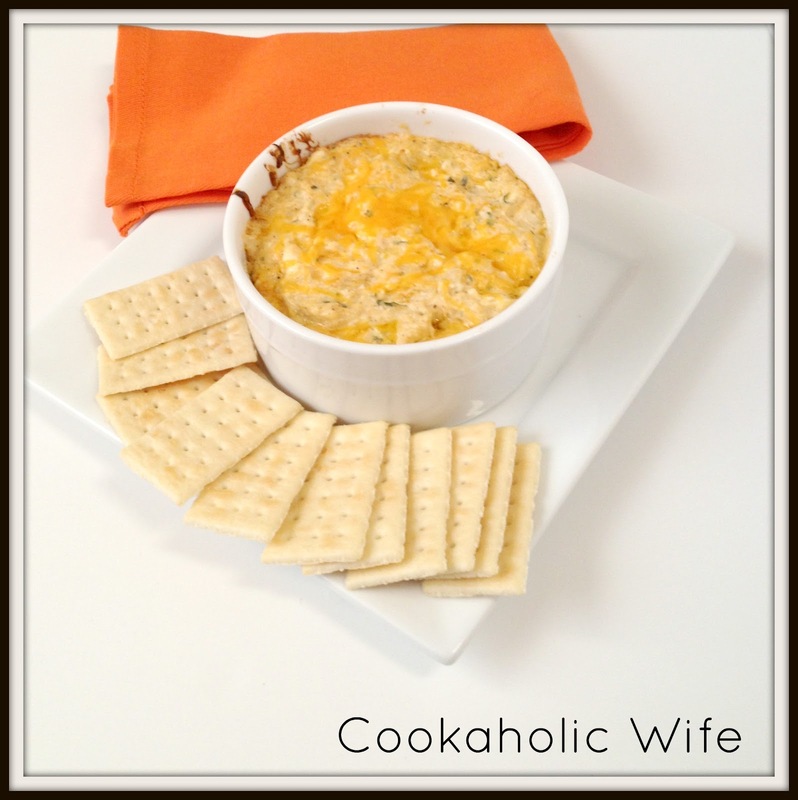 Crab dip is one of my favorites, and your rendition sounds great! I'm looking forward to getting one or two more bushels before the season closes to pick, and then freeze! I'm glad you decided to share the recipe — sounds like one this household would love! Stay safe during the storm! I love crab dip! This looks amazing. Hi! I have followed your blog since The Nest. I want to make this to take to my aunt's on Thanksgiving. I'm thinking I could make it at home, put it in my Crock Pot, then warm it back up that way when I get there. Does that sound like it would work? Woo hoo! Loyal follower! 🙂 I definitely think that would work. Depending on how long you need to travel, you might just want to keep it on low in the crock pot so it doesn't over-cook. Although I don't think you could really over-cook it, you might just end up with some crispier cheesy bits.